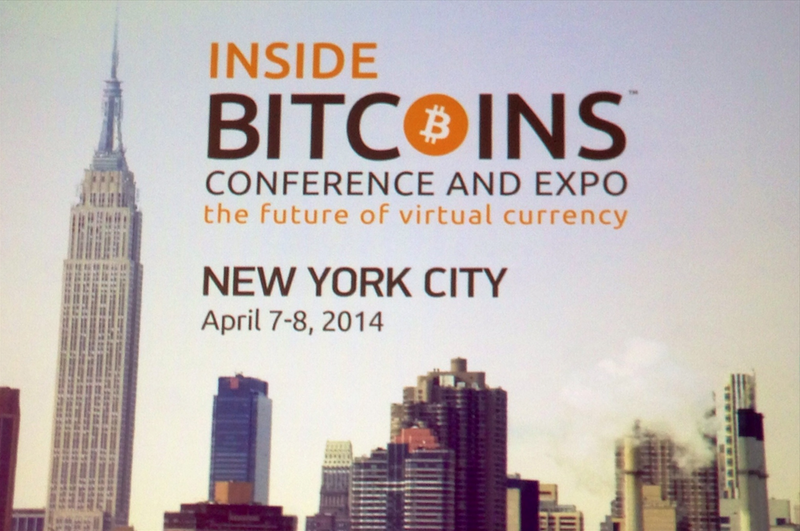 The second and final day of the Inside Bitcoins NYC conference took place on 8th April at the Javits Center in Manhattan, and built further on themes discussed in the conference’s informative first day. Although the topics that were discussed ranged from decentralized autonomous corporations (DACs) to merchant adoption of digital currencies, the conversation frequently returned to the issue of regulation, and a particular focus was given to Wall Street’s involvement with bitcoin through institutional investments. The opening keynote for the day featured a panel of speakers who work on Wall Street. Panelists such as SecondMarket Founder and CEO Barry Silbert and Wedbush Securities’ Managing Director Gil Luria provided insight on how bitcoin is viewed by the big players in New York’s financial district. Throughout the morning, Bloomberg’s World Stock Index was cited as an influencing factor regarding institutions on Wall Street ultimately investing in bitcoin. After telling the audience that in the world of Wall Street, “if it’s on Bloomberg, then it’s real”, Luria continued to postulate the fair market value of bitcoin, concluding with a prediction that received a mixed response from panelists and attendees. Among the factors that need to “happen right” for this valuation to be realized was, of course, regulation. The topic of governmental regulation pervaded the discussion about Wall Street’s involvement with bitcoin, and even became the primary focus of a seemingly less-related panel titled ‘Creating and Funding the Next 100 Great Bitcoin Companies’. While there was a vocal minority of attendees in opposition of the regulation of digital currencies, it was evident that most people in attendance have warmed up to the notion that some level of governmental regulation is inevitable for bitcoin to be sustainable in the long term. Texas Congressman Steve Stockman took the microphone and was immediately met with applause from the room. Rep. Stockman continued to say that he values the feedback of the bitcoin community, and reassured the crowded room that his office works to serve the public – including the bitcoin community – and not the other way around. One of the more poignant talks of the day was delivered by John G. Collins, who serves as a professional staff member on the US Senate Committee on Homeland Security and Governmental Affairs. Referring to the technical and financial complexities that underlie bitcoin and other digital currencies, Collins admitted that public policy in the US can often move at a slow pace, and said that it’s natural for there “to be a learning curve in the government, and for there to be a lot of questions”. Collins explained the fundamental challenge that the US government faces in dealing with bitcoin: the government is concerned about consumer protection and doesn’t want to “chase [their] tails on the law enforcement side”, but regulators also want to avoid stifling innovation and driving jobs and capital overseas. 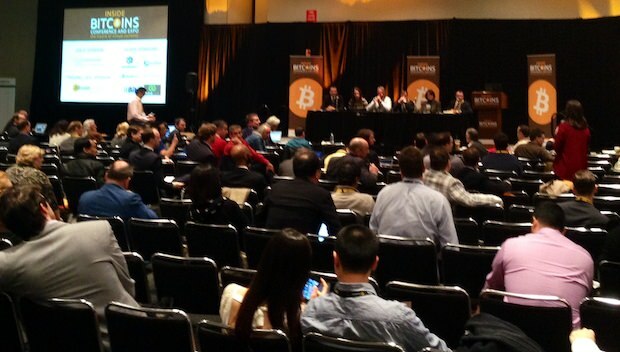 An emphasis was placed on fostering collaboration between the bitcoin community and regulators. Collins conceded that “regulators only know as much as [the community is] willing to educate them about”, but asserted that the bitcoin community needs to acknowledge the political, legal and consumer protection issues that cause concern for regulators. 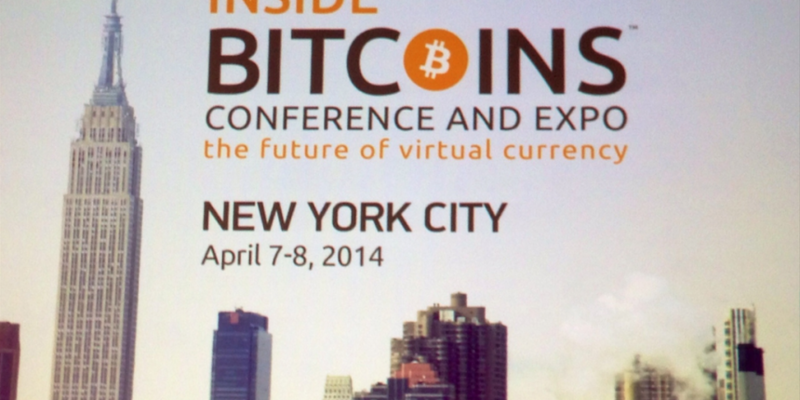 The general tolerance of regulation among attendees of Inside Bitcoins NYC signals what many consider to be the next phase in bitcoin’s penetration into mainstream adoption. With institutional investors from Wall Street showing interest in bitcoin – a higher calibre of entrepreneurs entering the scene and a general warming up to regulators – Inside Bitcoins NYC made it clear that the digital currency industry is quickly maturing, and as such, it demands to be taken seriously.